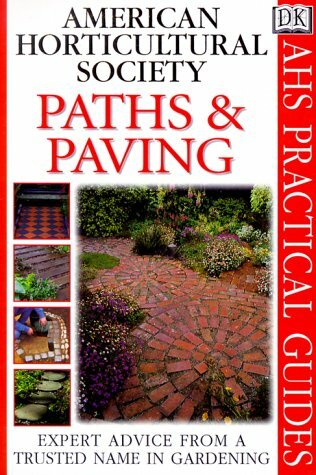 Full of solid, practical advice and plenty of how-to pictures, Paths and Paving is an ideal title for those looking to create all kinds of walkways and edgings. Materials include casual railroad ties and stones of all kinds, as well as more formal bricks, tiles, and handcrafted stepping stones. Designed to be a complete do-it-yourself guide, don't let the small format of this book fool you--it's absolutely jam-packed with ideas for all styles of gardens, and as always, publisher Dorling Kindersley manages to take fairly complicated projects and reduce them to a manageable size that even the home improvement novice can handle. Practical considerations are dealt with firmly--no skipping such detail work like leveling the area or squaring off corners.